Here’s a lovely little Photoshop action which produces a very pleasing effect, all with one click of the mouse. Back in the day I recall the joy and frustration of getting a pile of prints back from the developers and sorting them into a pile of keepers and a big pile of photos fit only for the bin. To use the action, start with the photo you wish to use already open in Photoshop and then play the action. 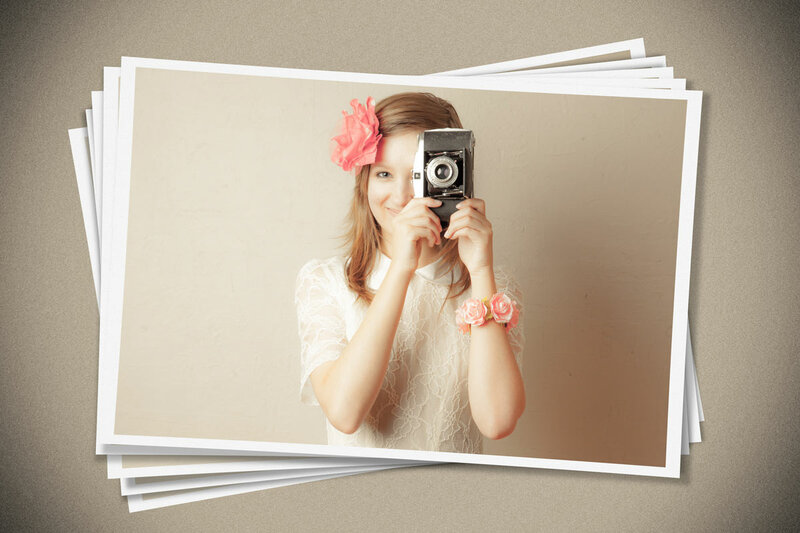 The first thing it does is make a copy of your photo so the original will be untouched and safe. There’s a lot of things for Photoshop to do with this action so it may take a minute or two to run through. DO NOT switch to another image whilst running the action. This action works best on landscape format images but will work on upright format photos too. As with most actions, the size of your image will effect the final effect and I’d suggest starting with a photo 3000 pixels (longest edge) or bigger. The action will work with Photoshop CC, CS6, CS4, CS4, CS3 and should work with Photoshop Elements but I have yet to test that. The action is copyright Gavin Hoey 2014. Use is limited to any personal, non-commercial purposes. Please share the Friday Freebie by linking back to this page. Do not redistribute the original action without my permission. Just tried your action in Photoshop Elements 7 and it worked a treat. Thank you Gavin. Very funny and usable, Gavin. Thanks for your work, as usual. Never used someone else’s action script before, but this one was a huge success! I will pop a (smaller) example on my Twitter page (@thenikonbloke) with a credit of course! It does work with Photoshop Elements 11! Thanks very much!! Thanks! Really nice and usable action. Works in Photoshop CS2 thanks Gav, keep them coming. Works great with upright format photo when you first rotate (e.g. 90 degrees right) the original photo and then rotate the result back (e.g. 90 degrees left). Thank you, Gavin! This is great. Just tried it out…. as always most impressed. First attempt at using an Action with Photoshop Elements 11 and it worked great. Thanks Gavin! Is it possible to change the color backgrund?